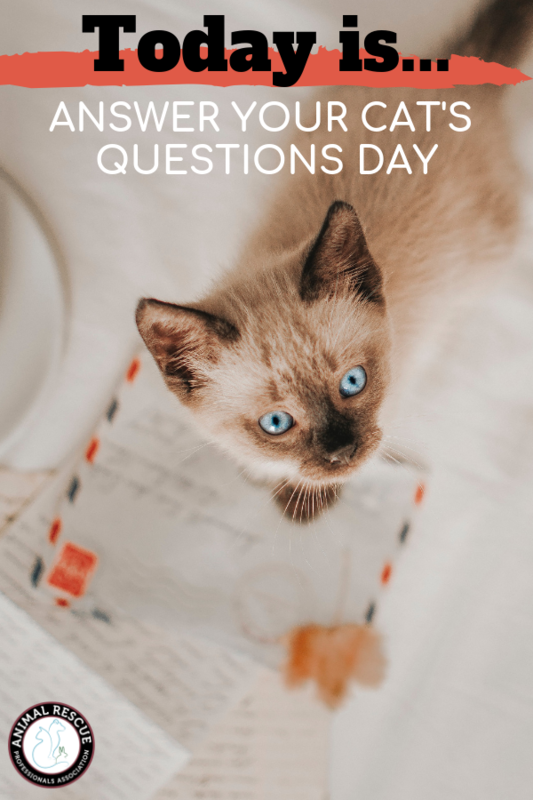 Home / Blog / How to answer your cat’s questions on national answer your cat’s questions day! For 364 days of the year you get to tell your cat what to do (or more likely what NOT) to do without having to answer their questions. But today is their day. 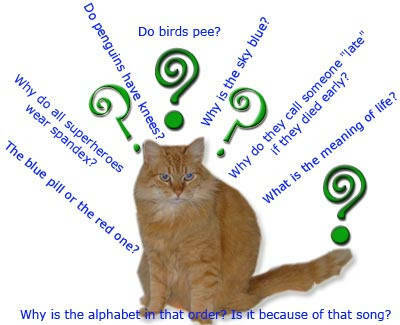 Today is answer your cat’s questions day so you need to turn the tables on yourself and answer what’s on their mind. We love it when people create random, fun days to celebrate the quirks our pets (and us) have. Today is the day to answer all of the questions your cats have for you but never had a chance to ask. Here’s a few of our favorites? Why do you step in that mushy, icky hairball trail that I just puked up? Seriously! Just clean it up already human. Why are you doing stomach crunches every day? I just have to knead your stomach that much harder before I lay down. Do you REALLY think that the ball with a bell in it is going to keep me happy? Can’t we get a toy that costs more than 50 cents? Why would you even THINK that a hat would look cute on me? I mean…whatever. Why are you getting mad at me? You’re the one that put those stupid trinkets and pictures on the top shelf. You know I lay there. Why do you let the mice in the house if you don’t want me to behead them and bring them to you? 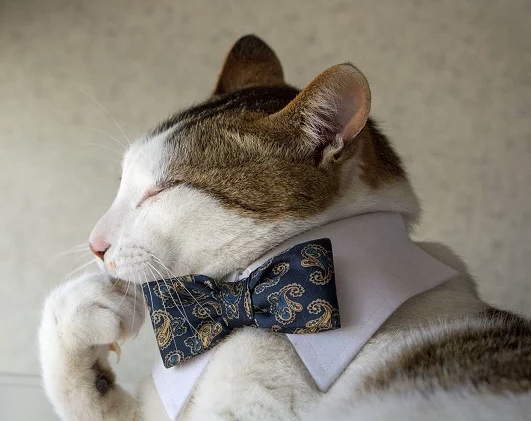 What’s your favorite cat question? ← It’s national hugging day! – Do dogs or cats give the best hugs?